Contact Us for more information and our market research packet! Start with a base of outstanding exposure to 80,000+ customers a day on I-95, a strong and growing local market, and beautiful site design. 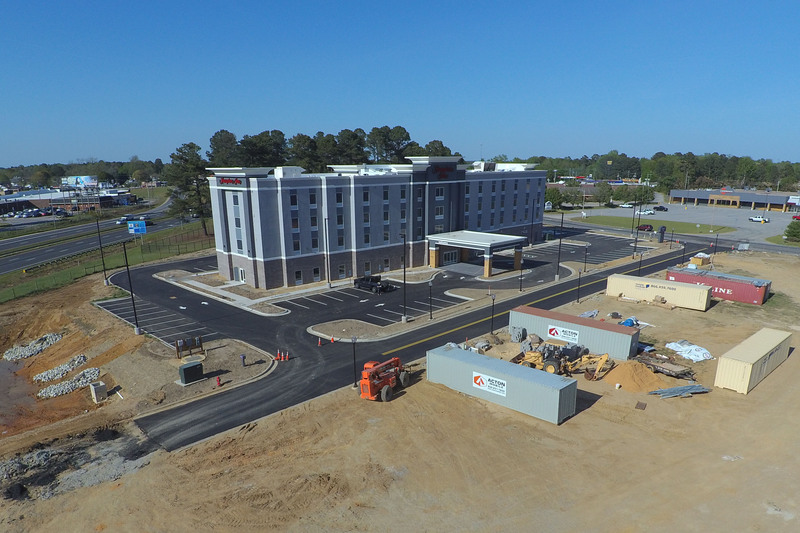 Add to it a brand new Hampton Inn by Hilton hotel with 40,000+ guests a year to draw from for breakfast, lunch, and dinner along with strong catering and take-out opportunities. Top it off with thoughtful and intentional design where nearly all of the development headaches have been taken care of and you end up with a differentiated site that stands out from other locations and gives your restaurant an advantage! We have taken care of permitting, entitlement, and infrastructure so that you don't have to, increasing the speed with which you can serve your first customer! 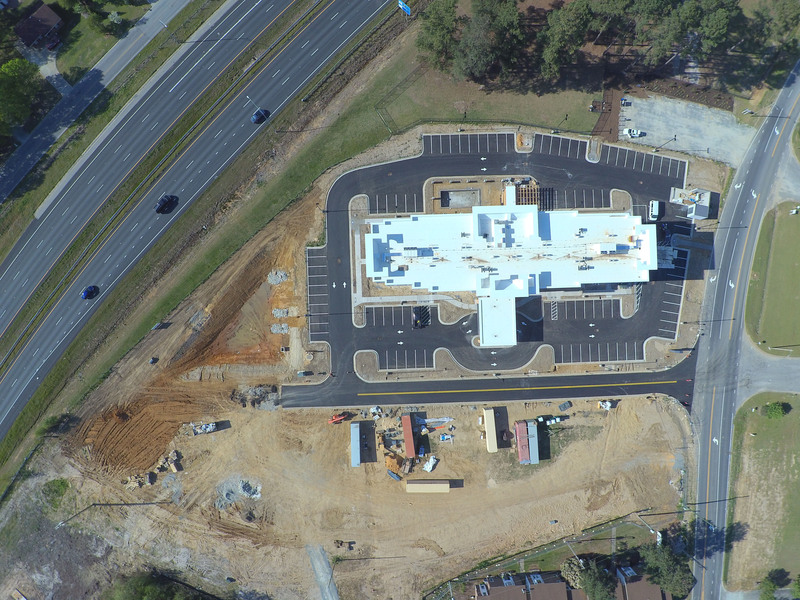 To satisfy NCDOT requirements for driveway permit approval we have added a dedicated southbound right turn lane into the site, a northbound center turn lane into the site, and widened the highway serving the site. 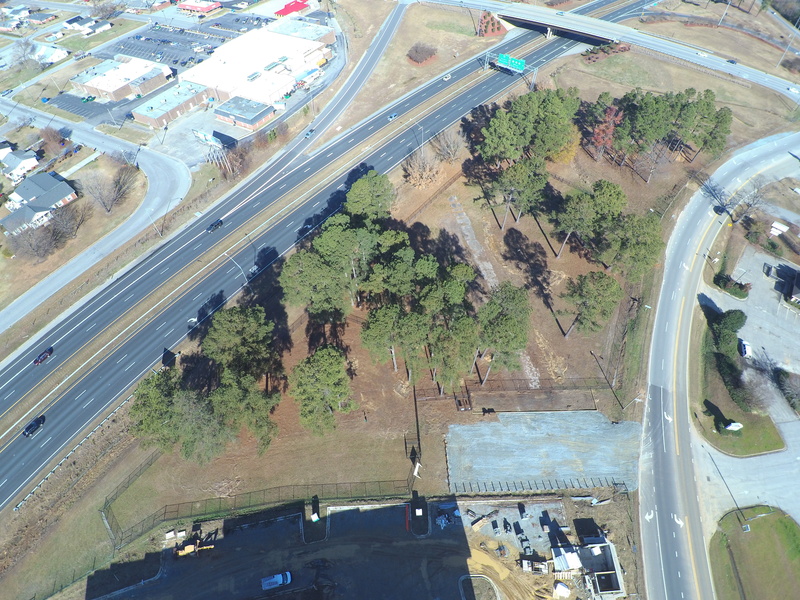 Future outparcel development should not need to apply for a NCDOT driveway permit as development is covered under our master site plan which speeds time to market and reduces uncertainty. Future outparcel development is permitted under our master stormwater plan and will not have to apply for further stormwater permitting. Stormwater facilities have been installed on-site to service future outparcel needs. Sewer: new sewer lift station installed by Town of Benson. Outparcels will be able to connect sewer via gravity to lift station. Water: new water line installed by Town of Benson with taps in place to speed future connection. Electric: aerial electric lines have been placed underground with junction boxes preplaced for quick future connection. Natural Gas: Piedmont Natural Gas has installed 2″ gas main with future taps in place for quick connection. A shared site entrance driveway is lined with purple plum trees and monument prismatic lighting, creating an inviting, differentiated experience for customers. 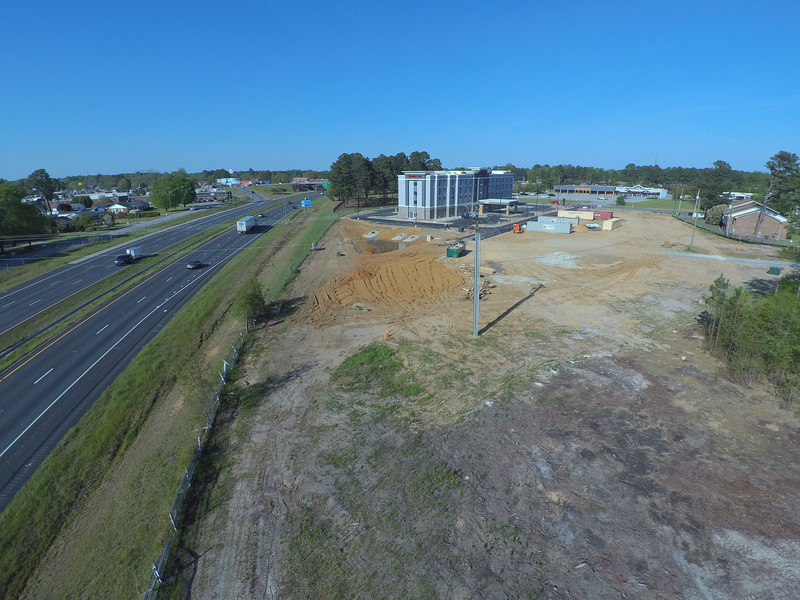 We have constructed a large billboard 600 feet south of the site right along I-95. Restaurants on our site have first rights to lease advertising space. This is the last northbound billboard before Exit 79 and positions your advertisement to be the last seen before customers exit. We are an experienced real estate development company with over 30 years in real estate and hotel development and management. Please fill out the form below and we would be glad to share our market research packet with you. We hope that after you have a chance to review it you will have the same confidence and excitement in the development that we have!